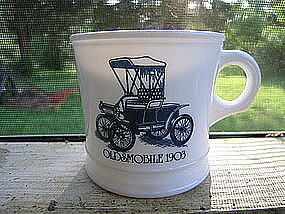 For some reason, I always thought this was an Avon mug, but it is marked Surrey USA. It measures 3 1/4 inches in height. There is no damage. I have 2 of these mugs and priced individually. I need your zip code to calculate the postage.